Departure from Zadar. 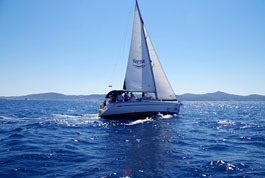 Sailing through Zadar channel towards the pass of Mali Ždrelac. Passing under the Pašman bridge that connects the islands of Ugljan and Pašman, and sailing towards the island of Dugi otok. 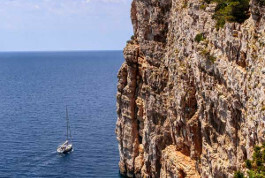 There is no better way for experiencing Dalmatia and all its beauties than cruising on a yacht towards the islands and their secluded bays. Treat yourself with a day full of pleasures. Discover numerous islands of Zadar archipelago and enjoy swimming in crystal clear Adriatic Sea. 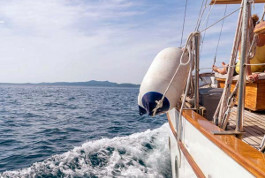 There is no better way for experiencing Dalmatia and all its beauties then cruising on wooden sailboat towards one of the most magical bays of the Mediterranean.